Getting employees to share their skills and knowledge with coworkers is a simple way to drastically improve strategy and quality within your teams. Yet, there are many reasons why employees often withhold knowledge. To some degree, withholding knowledge seems to stem from the belief that giving up valuable information will decrease one’s perceived value to his or her employer. For example, if one employee always makes more Project than the rest of his team, he likely looks very valuable to management. Therefore, if he shares his knowledge with the team, that employee may fear the whole team will make more Project and he’ll no longer stand out. Of course, a team of top-rate Project people would be great for your company, but it’s only natural for employees to try to look out for their own wellbeing. As McMaster University’s associate business professor David Zweig points out, despite many companies’ emphasis on teamwork, most promotions and rewards are given based on individual contributions. Accordingly, one of the first steps you should take to encourage more knowledge sharing among your employees is to emphasize the importance of effective teams over effective individuals. Keeping this in mind, there are a number of tools that can be helpful in encouraging knowledge sharing among your employees. 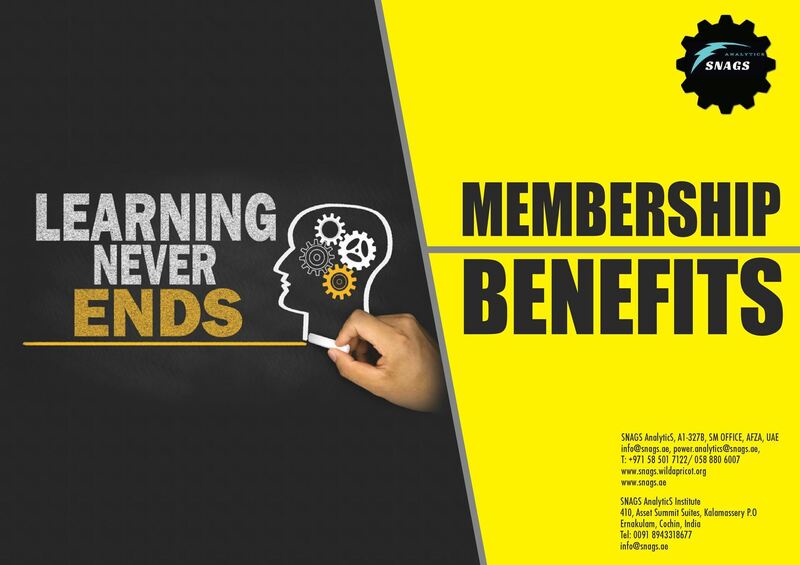 Membership issuance & renewal will be the sole desertion of the SNAG ANALYTICS after reviewing the profile. 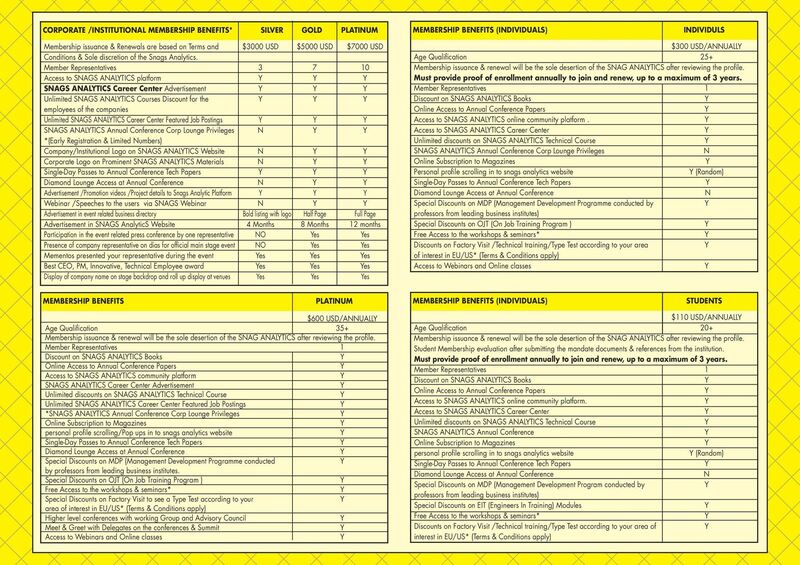 Must provide proof of enrollment annually to join and renew, up to a maximum of 3 years. 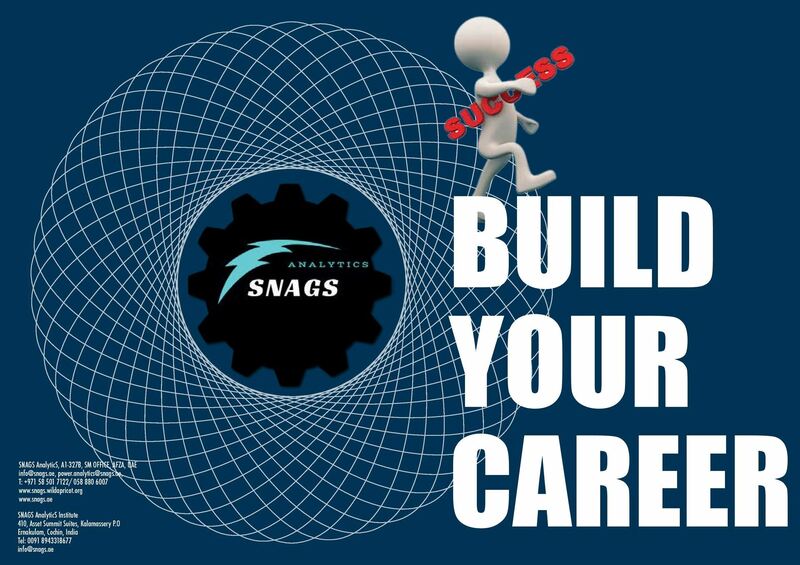 Access to SNAGS ANALYTICS online community platform .